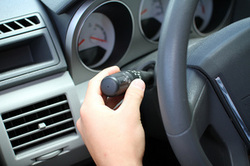 Automatic and Manual Beginner Driving Lessons in Mortlake. providing great driving instructors and a vast range of lessons and courses helping you to pass your driving test quickly and with fewer lessons. YOUR FIRST Driving Lesson in Mortlake Just £10! If you are looking for the best intensive driving course in London you've come to the right school to help you pass your practical drivers test in Richmond, we can arrange your drivers test in the quickest possible time, in Mortlake and Richmond Upon Thames Surrey / London Driving Schools and its detailed driving courses in Surrey are the only clear choice of tuition. At Mortlake Driving school TW9 & TW10 we can help you pass your practical drivers test the first time! At Mortlake Driving School we provide top quality driving lessons and courses in the Mortlake area to suit both the beginner driver and experienced drivers of all ages and abilities. Our driving schools in Mortlake Surrey covering Mortlake & Richmond Upon Thames SW14 areas, provides fantastic driving lessons in Mortlake area. If you learn to drive in Mortlake Surrey with our Instructors you will be able to drive anywhere in the world. Don't be put off with motoring in Mortlake or London it is probably the best place to learn to drive and will prepare you for anything motoring has to throw at you. All of our professional driving instructors in Mortlake are fully qualified DSA approved, ensuring that all driver training takes place in a co-operative, friendly and relaxed environment and more importantly so that you develop the best and safest motoring skills and habits you will need in your motoring life. Our Driving Schools in Mortlake, Surrey and Southwest London provides a vast range of tuition & lessons to suit all individuals needs and each designed to help you achieve your driver goals in the quickest possible time, we make you ready for motoring safely which is what you need to demonstrate in your practical driving test and ultimately you will now when you are ready as you will know when you have the confidence and driver skills required to drive safely and ultimately pass your practical test in Mortlake, Surrey. Our LDS Intensive Driving Courses at Mortlake Driving School enable you to pass your practical drivers test in just 2 weeks time whilst ensuring you are fully confident in your abilities on the road. Refresher Driving Courses Mortlake, ideal for those who have not drive for a while, feel a bit nervous and wanting to brush up on their motoring skills. Advanced Driving Courses, for those drivers wanting to take their skill & ability to the next level and become an even better driver. Motorway Driving Courses Mortlake for those beginner drivers wanting to gain extra confidence in their motorway skills. Pass Plus Driving Courses Mortlake, to give you extra confidence once you have passed your initial practical test, along with great insurance discounts. Intensive Driving Lessons in Mortlake, Same as Crash Driving Courses, Ideal for Beginners or those who have taken a few lessons who need to pass their practical drivers test quickly. Automatic Driving Lessons in Mortlake For those drivers who have had problems with manual gears, clutch control and stalling. Beginner Driving Lessons in Mortlake we'll quickly assess what your motoring needs are and how you need to learn, quickly and efficiently. Alternatively find out more about all areas covered by Mortlake Driving School instructors please click on links below. LEARN TO DRIVE IN MORTLAKE SW14 LONDON - Covers the areas of Mortlake district: Mortlake, upon Thames Learn to drive in Mortlake Surrey Today. Email: Please use the form below to request a call back from our one of our local instructors at our school. BOOK YOUR LESSONS IN MORTLAKE & SAVE MONEY on block bookings. Our great Intensive Tuition & Courses at our Driving School in Mortlake enable you to pass your driving test in 2 weeks time whilst ensuring you are fully confident in your abilities driving on the road. Alternatively find out more about all areas covered by our Driving School instructors in Mortlake Surrey, South West London.